It’s true that stereophonic audio has much better sound than monophonic sound but sometimes there are situations when the single audio channel option could actually be more feasible. Both Android and the iOS provide the option to switch between mono and stereo output and its roots can be traced back to it being designed for individuals who are hard of hearing in one ear. 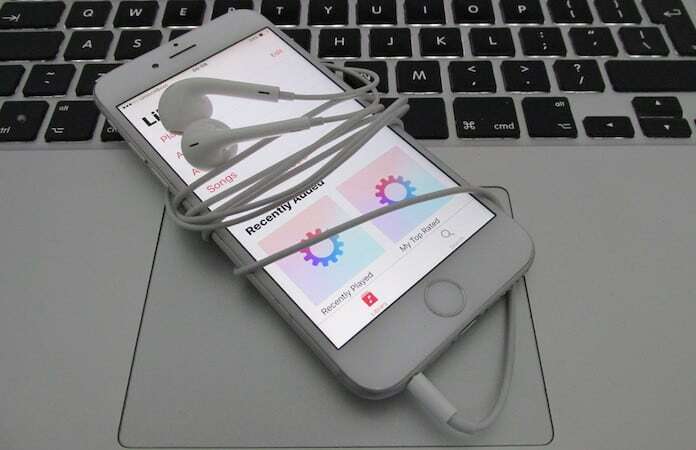 Despite this, the feature can be quite useful otherwise as well; for instance if you want to share some music or audio with someone without having to turn the speakers. In addition it is a necessity for people who are in the habit of watching movies, videos or listening to music with just one earphone in. There are legal implications as well, since in some places it is illegal to drive around with both ears covered by earphones. Mono playback allows you to use your headphones without going in violation of the law. So, we are here to help you understand exactly how to change audio output on iPhone to mono or stereo quickly. 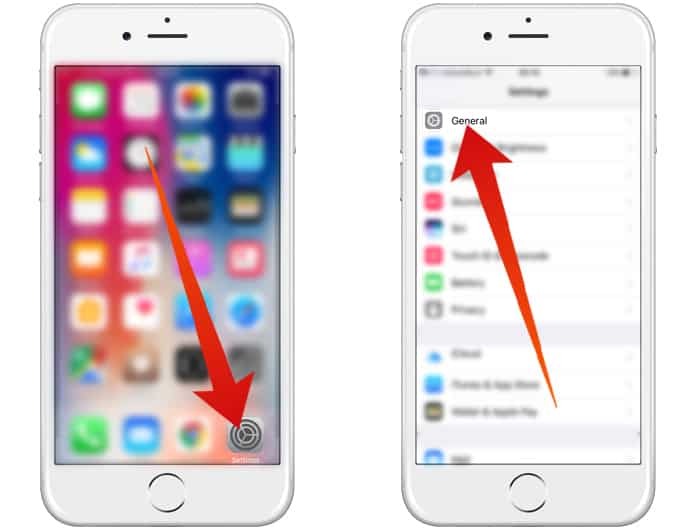 Step 1: From the Home Screen go to Settings -> General. 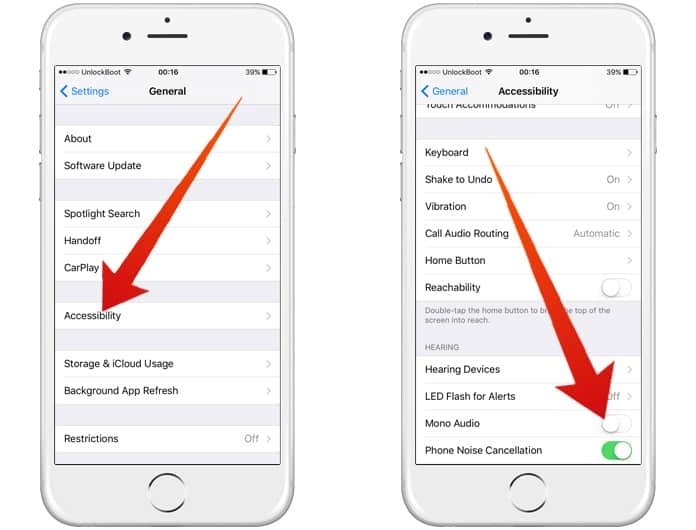 Step 2: Tap on Accessibility, scroll down and toggle on Mono Audio under the Hearing section. That’s basically all there is, a simple two step process. After following them you will have successfully managed to enable mono audio on your iPhone. If you want to go back to stereo settings, simply toggle the above mentioned switch to off. It is also possible to increase the volume to either side of the headphones by using the slider. iOS offers great ease of use when it comes to changing settings here and there to offer optimum performance. Let us know if your experience improves for the better or worse after using this technique!